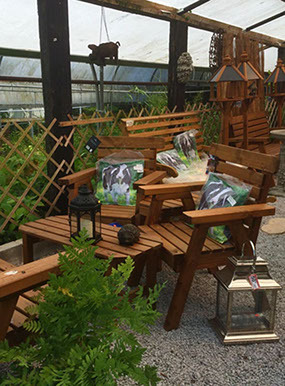 The team here at Salterforth has spent many hours putting together an inspired collection of tables, chairs and other items in traditional wood and classic stone, come along and try them out to get the right feel for you and your garden. Garden ornaments make ideal gifts whatever the occasion. These gifts can form a unique focal point for any garden and can be enjoyed all year round. 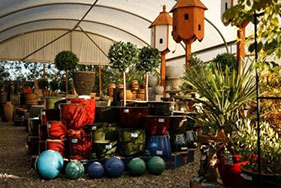 We carry a fantastic selection of pots of all colours and sizes, ornaments, solar lights, cute pot animals, bird tables and dove cotes. We feel it is important to support local trades and so always endeavour to stock a good range of locally produced handicrafts, giving you the chance to pick up something just that little bit different whether you're treating someone special, or just spoiling yourself.